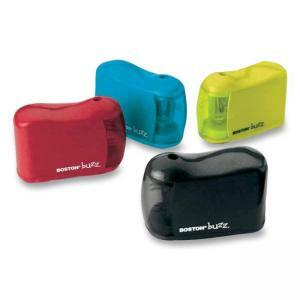 Pencil sharpener is small and compact enough to carry in your backpack, purse or briefcase. Razor blade sharpening mechanism produces perfect points on standard wooden pencils. Secure receptacle catches any shavings.